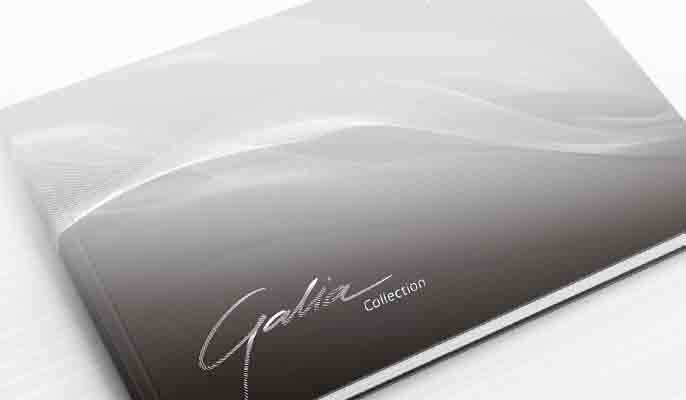 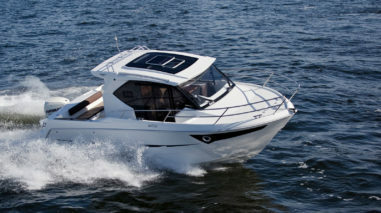 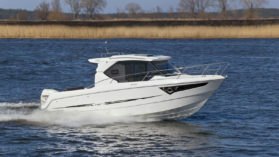 Galia 750 Hardtop is a top-of-the-range model that sets new standards in its class. 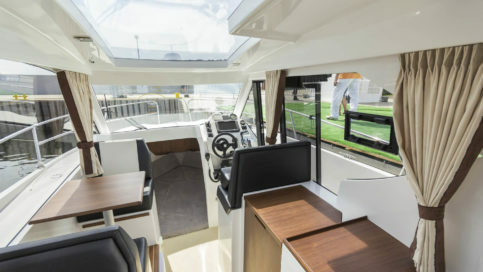 The overall layout is very practical with a large cockpit area with a foldable bench and wide sidedecks for safe passage to the bow. 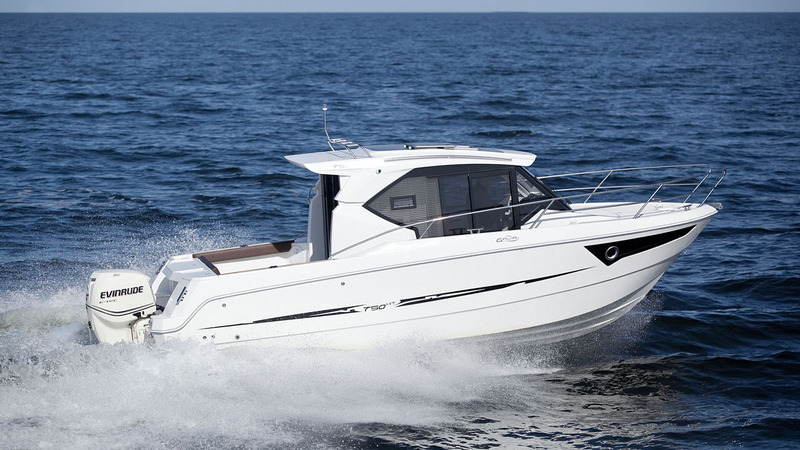 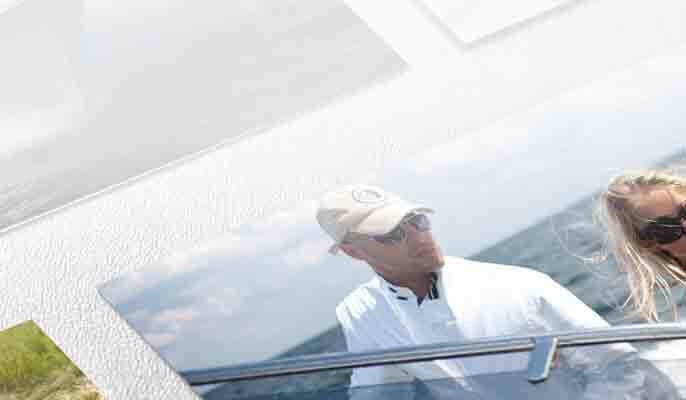 The pilothouse can be accessed through the back or side sliding glass doors and is surprisingly spacious for a boat this size. 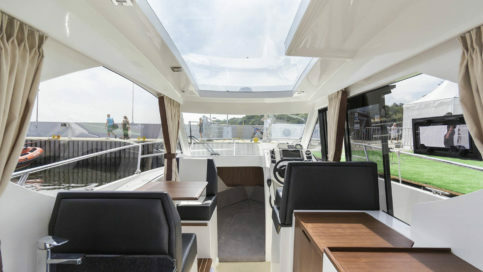 The high quality walnut interior is surrounded by windows and a see-through roof with an openable hatch. 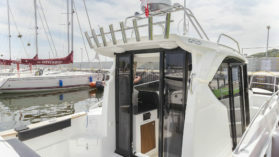 Inside, a dinette with a pop-up table for two can be found, along with the helmstation, bathroom with shower and a forward double bed. 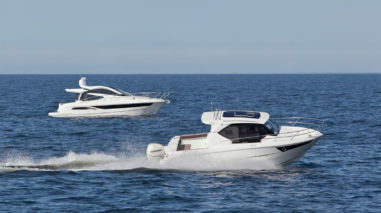 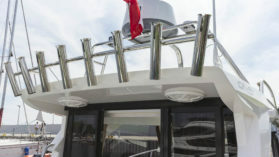 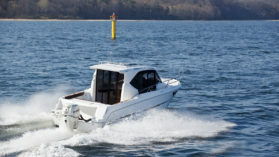 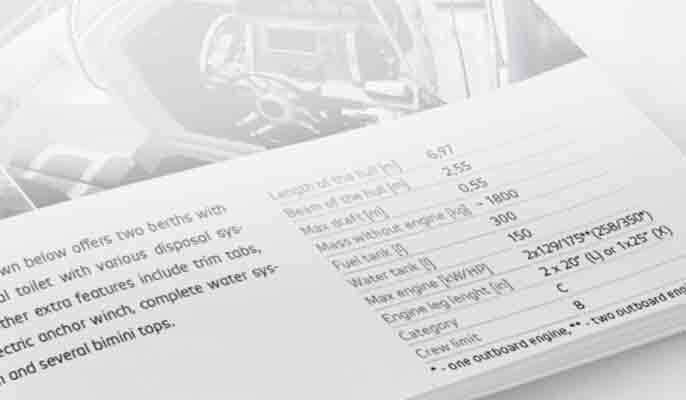 The motorboat can be fitted with various water and sanitary systems as well as navigation, trim tabs and Webasto heating.